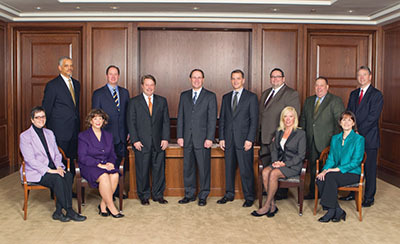 LMCU President & CEO, Sandra Jelinski (seated, second from right), has been named a member of the Community Depository Institution Advisory Council (CDIAC) for the Federal Reserve Bank of Chicago. The purpose of the council is to promote communication between the Chicago Fed and representatives from community depository institutions in the Seventh District. Congratulations, Sandy!